This 44-40 cartridge from Magtech’s Cowboy Action Loads line of ammunition is perfect for cowboy action shooting thanks to its 225 grain lead flat nose projectile. 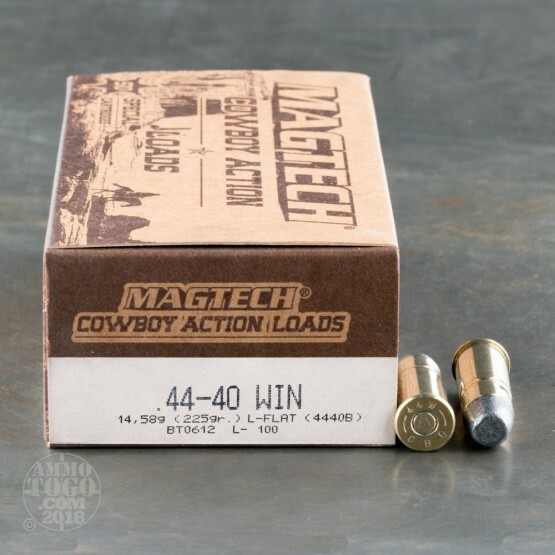 The bullet’s profile makes it extremely versatile: It will not only punch a clean and easily scored hole through a paper target, but will also knock over a steel target dependably. This bullet also loads safely in a rifle with a tubular magazine, as its shape makes it all but totally unable to strike the primer on the round in front of it. This bullet’s lead composition not only helps to make it affordable, but lets it deform within a soft target as well. 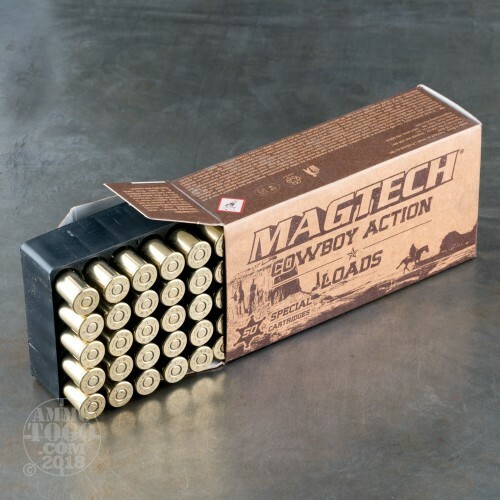 That makes this round a worthy choice for your Colt Single Action Army if you favor it for self-defense. 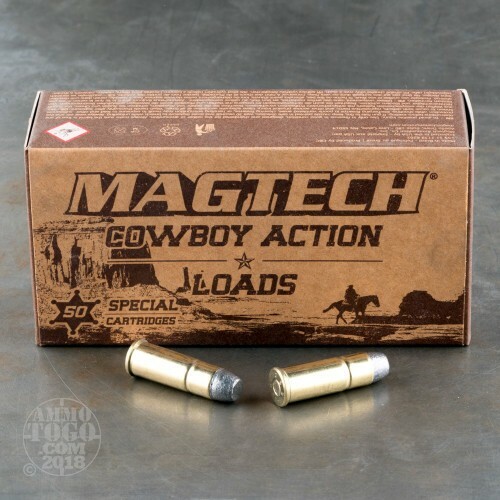 Magtech is the commercial label of the CBC Group, an absolutely massive ammunition manufacturer that holds several other well-known brands as well. 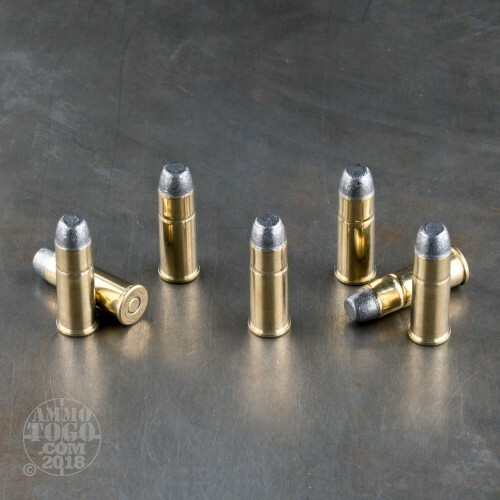 Their factory fresh brass casing is poised to deliver over the course of multiple reloading projects, and their non-corrosive primer means you can confidently store this ammo for ages. This is probably the worst ammo i ever used. I had to push each round forcefully into the cylinder to seat where the cylinder would turn to load the next round!